Fall apples sliced and made in to a yummy dessert! Perfect paired with a cool fall night or a cold winter weekend. My kids love spooning this hot out of the slow cooker and putting a scoop of vanilla ice cream on top. You can substitute apple pie canned filling for the apples, flour and white sugar if you choose. 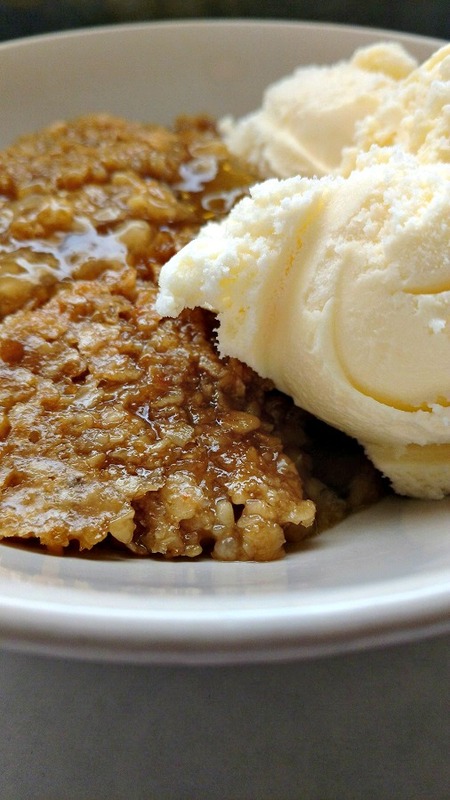 Crisp oatmeal topping and apple pie filling. Top with a scoop of ice cream or a little whipped cream. Place the apples in the bottom of a 5 qt or 6 qt crock-pot or a casserole dish crock-pot. Sprinkle the white sugar and flour over the apples. 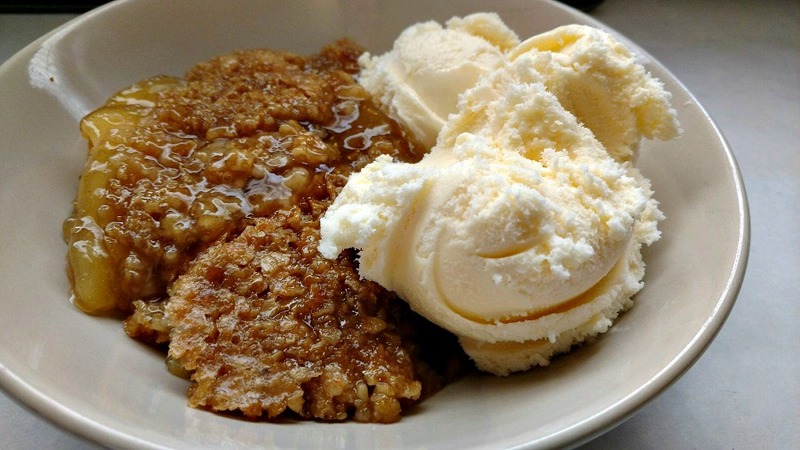 In a separate bowl, mix oatmeal, butter and brown sugar until a crumbly mixture forms. Sprinkle the crumb topping over the apples. Serve with a side of vanilla ice cream. Enjoy!